Now that the FCC is online again amidst the US government shutdown, a new unannounced Lenovo tablet or phablet shows up as being certified by the FCC this week. It could be something akin to a new Lenovo Phab series, but we’ll need more info first. 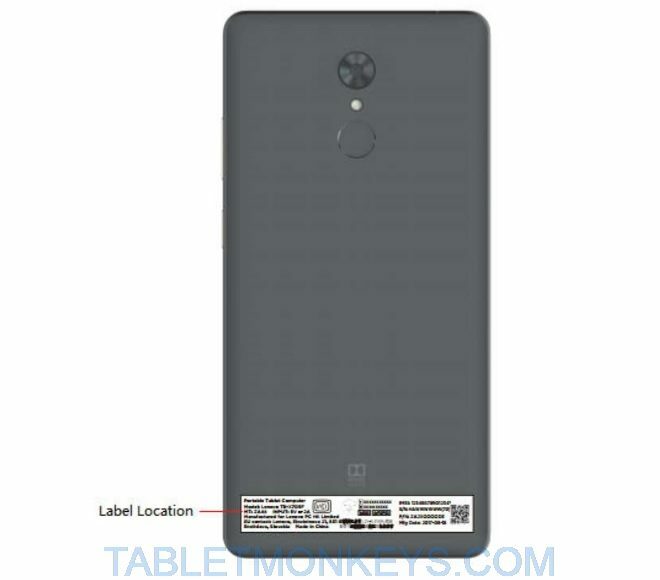 At least the model name and number so far is Lenovo Tablet PB-6505. And as we can see by the image of it, it appears to be larger than a straight 6-inch phablet. An it is officially registered as a tablet too. Very little of its specs are made available at this point, but it does at least have dual-band 802.11 a/b/g/n/ac Wi-Fi, 4G LTE, a 5180 mAh battery, Dolby audio, a fingerprint reader, and rear camera with LED flash.